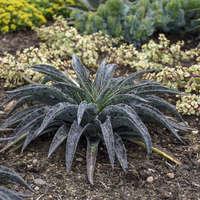 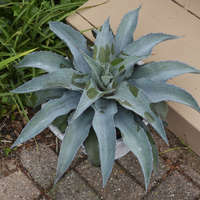 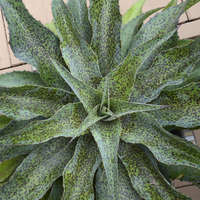 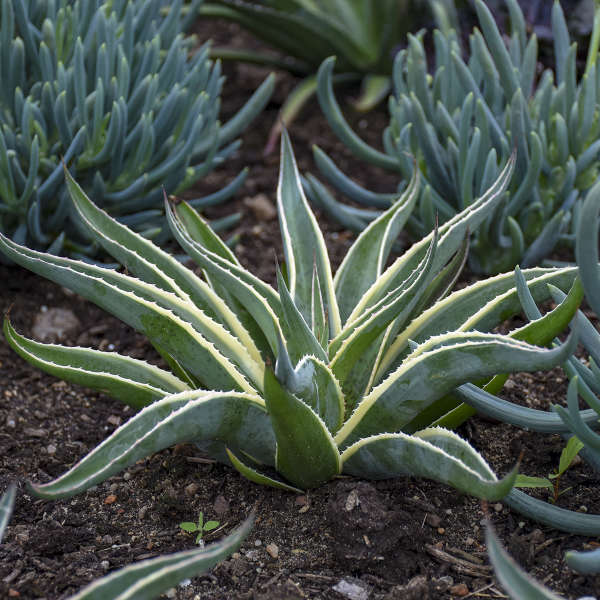 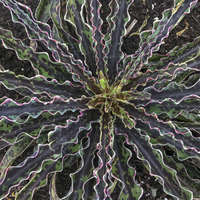 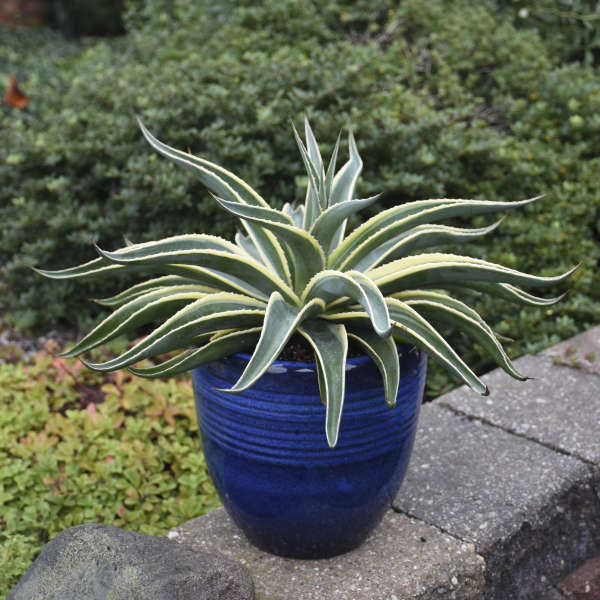 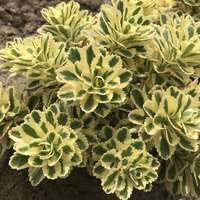 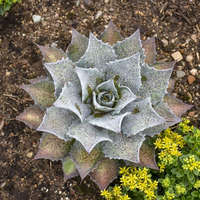 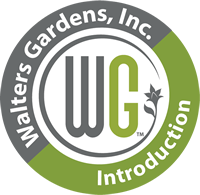 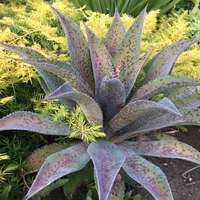 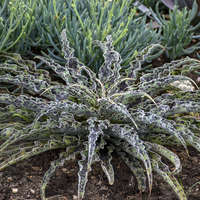 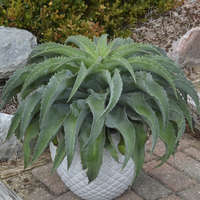 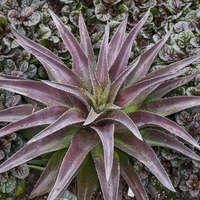 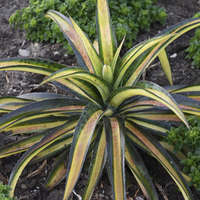 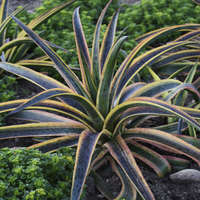 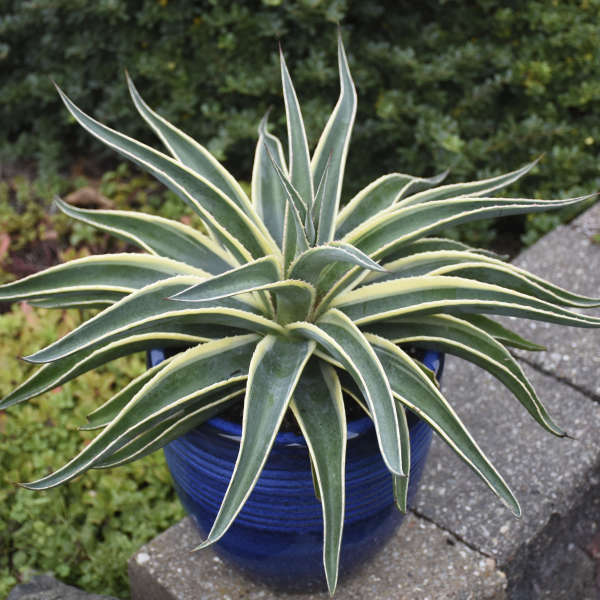 This succulent is one of our personal favorites with its clear and consistent variegation. 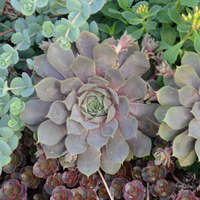 Wide, cream margins are contrasted by deep blue-green centers. 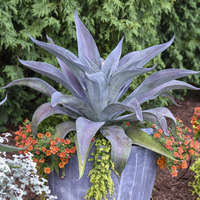 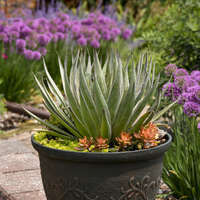 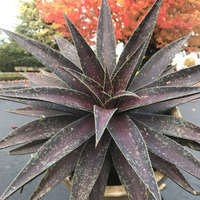 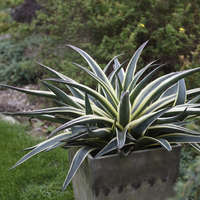 The rigid leaves form a relatively low horizontal habit that frames a container quite nicely. 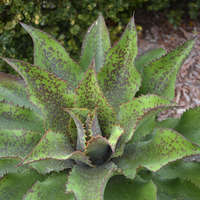 Minimal spotting near the crown is secondary to the bright green and cream color. 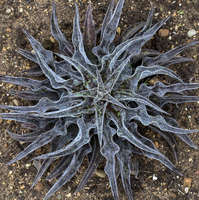 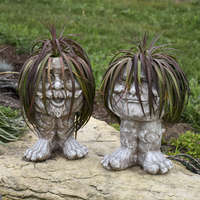 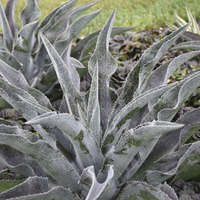 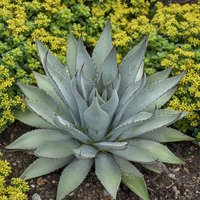 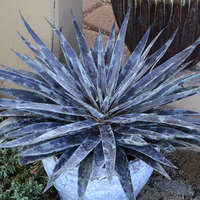 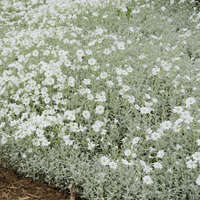 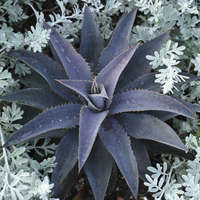 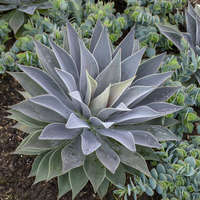 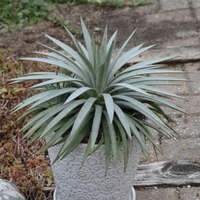 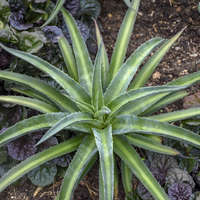 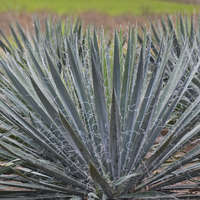 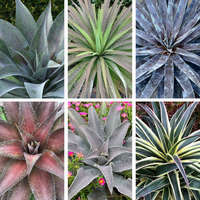 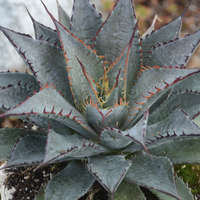 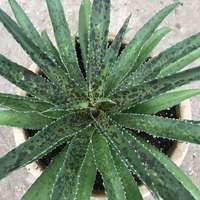 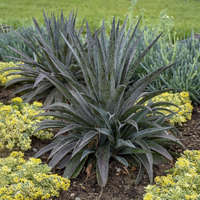 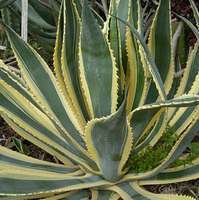 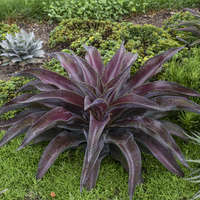 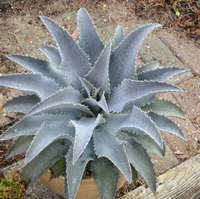 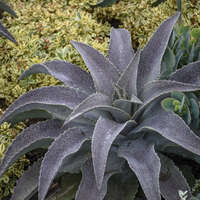 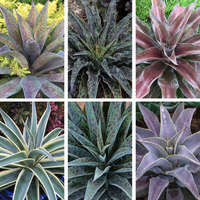 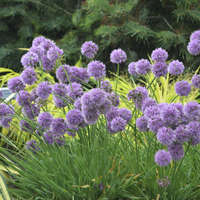 Compared to 'Snow Leopard', 'Navajo Princess' have thicker, more heavily toothed leaves.